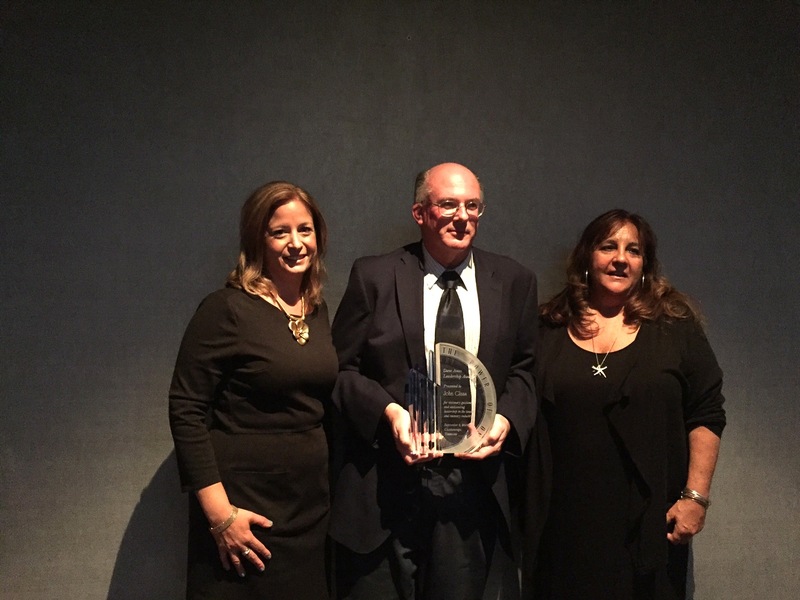 WINTER SPRINGS, FL, September 15, 2016	(Newswire.com) - ​​Morristown, New Jersey, business owner John Glass earned a national award for being an exemplary leader in the towing and recovery industry. Glass, owner and operator of Morristown Auto Body, was awarded the second annual Dave Jones Leadership Award, named after the late towing and recovery pioneer Dave Jones of Florida. The award was presented to Glass on September 8 at the Chattanoogan Hotel during the annual International Towing & Recovery Hall of Fame reunion in Chattanooga, Tenn. The event takes place during the Tennessee Tow Show, hosted by Tow Times magazine and the Tennessee Tow Truck Association. "John and my father worked hand-in-hand for 30 years," said Jamie Jones, son of Dave Jones and a second generation towing owner and operator. "They had a shared philosophy that what was best for the industry was best for towing and recovery companies. John looked out not only for New Jersey but for the whole industry." After receiving the award, Glass said he was very surprised to be honored. "I am absolutely shocked. I didn't expect this or see that coming at all." Glass has been president of the Garden State Towing Association for over 15 years. He has shown great initiative in helping to pass the most important pieces of legislation governing the towing and recovery industry in New Jersey, including legislation to eliminate low bid contracts, the State Police SOP, the Predatory Towing Act and the NJ Turnpike Tow Through (which impacted all towers in the Eastern Corridor). Just as Dave Jones was instrumental in raising standards and professionalizing the towing and recovery industry through several organizations, Glass provided key input in developing the National Driver Certification Program, developing New Jersey incident management procedures and developing overweight/length legislation, now a model for the country. "Issues came up locally and nationally, and somebody had to fix them," Glass said, adding, "I've worked with a lot of good people over the years who saw problems and tried to fix them." Glass has found time to share his expertise with the NJ State Police Incident Management Committee and act as a representative or liaison for the NJ Insurance Commissioner's office, New Jersey Turnpike Authority, NJ State Police, League of Municipalities, Police Chiefs Association and NJ Motor Vehicle, and many more. Morristown Auto Body, a nationally certified towing and recovery operation, has been a fixture in northern New Jersey since 1980. Contact John Glass at Morristown Auto Body at 973 267-7665 or jhg@gsta.org. Reach Mary Leigh Barbusin, executive director, Garden State Towing Association, at 732-530-4782 or mlb@gsta.org.